As a progress-focused coach you don't have understand more about the situation of your clients than is necessary to help them move forward. Progress-focused coaching is a way of working in which you activate your clients, mainly through questions, to discover ideas for steps forward. This process does not require that these coaches understand precisely everything that their clients say, think, and have done. In fact, this would be impossible. Every word and every thought is connected to so much complexity in the mind of the client that it be unfeasible to understand them precisely and completely. Progress-focused coaches are well aware of this and assume an attitude of not-knowing. They realize that there is much about the situation of the client that they do not understand and do not need to understand. Instead, they help clients move forward by helping them to discover ideas for steps forward in a direction that is valuable for them. In a coaching conversation I observed today, I saw this way of working applied beautifully. 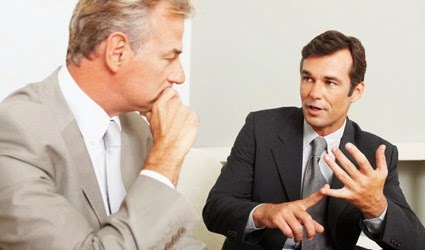 After the coaching conversation, the client said to the coach: "It was a very good conversation. At one point, I noticed that you did not fully understand anymore what I was saying. For a moment, I wondered if I should explain more but I decided not to because I noticed that, although you did not fully understand, I was able to continue my thought process very well on my own. I realized that this conversation was for my benefit." The coach responded as follows: "Yes, it is correct that I did not fully understand anymore at a certain point. And I wondered if I should ask for more explanation. I decided not to do that because I could see that you were able to continue thinking. I noticed that from both your way of talking and your posture." This situation reminded me of a situation I was in many years ago, it must have around 1995. I facilitated a large meeting for a department of large organization. At first, the meeting did not seem to go very well and did not seem to lead to any useful outcome. At a certain point, I did an intervention which worked well. The participants became quite actively involved and more accordance between them emerged. I noticed to my surprise that, while the participants were became more and more enthused, I understood less and less of what they were talking about. They used many abbreviations and technical jargon which I was not familiar with. I hesitated but decided not to ask for clarification because they were so enthusiastic. Furthermore, nobody seemed to be very interested in whether or not I understood what they were saying. At the end of the meeting everybody was quite appreciative of how I facilitated the discussion. I felt pleased but also somewhat confused. Shouldn't I have understood their remarks better? I am now over that confusion. I don't have to understand more of what my clients are saying than is necessary to help them make progress.